Stora Enso partnered with H&M group and Inter IKEA group to industrialize TreeToTextile. TreeToTextile AB is a joint venture between H&M group, Inter IKEA group and innovator Lars Stigsson since 2014, with the aim of developing new textile fibers in a sustainable way at attractive cost levels. Stora Enso will join this partnership, and also support the industrialization of TreeToTextile’s production process by setting up a demonstration plant at one of its Nordic facilities. Stora Enso and the leading Nordic producer of household products Orthex bring to the market a new range of kitchen utensils made from a new biocomposite which combines the best qualities of wood and plastic. The bio-based material used to replace fossil-based plastic is made from spruce and sugarcane, which – according to both companies – reduces the carbon footprint of the products by up to 80%. The innovative products contain 98% bio-based material. Scandinavian multinational company Stora Enso opened Europe’s largest wood fibre-based biocomposite plant. The opening ceremony took place last June 4 at the company’s Hylte Mill outside of Halmstad in South-west Sweden, and was attended by more than 150 guests. Stora Enso’s investment of €12 million in a biocomposite plant is part of the company’s ongoing process of becoming a renewable materials company. 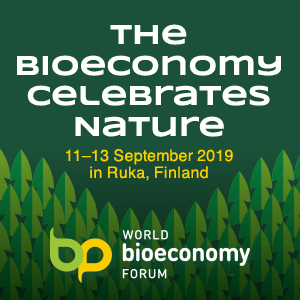 It aims at showing that Stora Enso is a leader in the bioeconomy, with the ability to provide innovative, more sustainable alternatives to plastic. Stora Enso launched bio-based lignin as renewable replacement for oil-based phenolic materials. Lignin is one of the main building blocks of a tree and makes up 20-30% of the composition of wood. Yet it has traditionally been discarded by the pulp and paper industries. However, Stora Enso has recognised the potential of this versatile raw material, which can be used in a range of applications where fossil-based materials are currently used. Scandinavian company Stora Enso is investing 12 million euro to build a new production line that will manufacture biocomposite granules at Hylte Mill in Sweden. 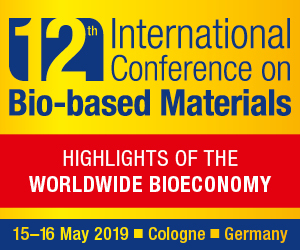 Biocomposite granules enable the use of renewable wood to substitute a large portion of the fossil-based materials in products typically produced in plastics. Production is scheduled to begin during the first quarter of 2018. The annual capacity will be approximately 15 000 tonnes per year. The ramp-up of the new production line and a new type of manufacturing is expected to take 2–3 years. 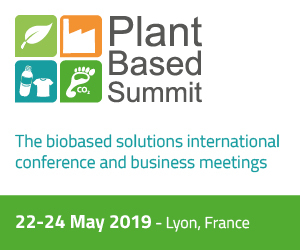 “With equivalent performance and equivalent costs we anticipate that the industry will migrate to widespread adoption of these bio-based products over time (similar to previous industry shifts to more competitive petro-derived processes)”. To say it, in this exclusive interview with Il Bioeconomista, is Tim Dummer, VP Commercialization at Rennovia, a specialty chemical company focused on the creation of novel processes for the cost advantaged production of chemicals from renewable feedstocks. Rennovia led by Robert Wedinger and based in Santa Clara, California, is developing processes for the production of biobased glucaric acid, adipic acid, 1,6-hexanediol, hexamethylenediamine (HMD), and other important building blocks for a wide range of functional materials. With Dummer we talk about Rennovia and the future of the chemical industry. Renewable materials company Stora Enso and specialty chemicals company Rennovia have announced a joint development and license agreement to cooperate on bio-based chemicals development.